Does your company have a Northern Irish customer who is not paying your invoice? The trading culture and regulations in Northern Ireland differ from those you are used to, which often makes debt collection in Northern Ireland complicated. Our English solicitors have the means to make your debtor pay. From the moment you hand your debt recovery matter over to us, we will do our utmost to collect your money. We, a debt recovery law firm, have more than sixty years of knowledge and experience at our disposal to assist you with your commercial debt collection in Northern Ireland. 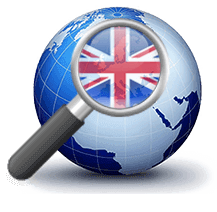 Our English solicitors have extensive experience and knowledge of legislation and regulations in Northern Ireland. In addition, they are fully aware of commercial traditions and culture. That makes it easier to get your Northern Irish debtor to pay quickly. Our English solicitors speak both your language and English, which allows them to overcome language barriers with ease. The debt collection process in Northern Ireland can be divided into two stages. During the extrajudicial phase, collection takes place without Court intervention. During the judicial phase, we do involve the Court in order to make your Northern Irish debtor pay. 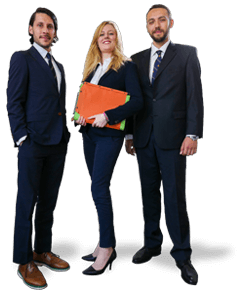 Because we are a law firm, we can assist you during both stages. In Northern Ireland, most matters are resolved during the extrajudicial phase, without Court intervention. In principle, we always start the debt collection process with the extrajudicial phase. At this stage, we try to prevent Court intervention, as this can be expensive. We will contact your Northern Irish debtor to demand payment. In specific cases, we will also engage in a face-to-face conversation with your Northern Irish debtor. If the debtor does not pay within a set period of time, we can commence legal proceedings on your instruction. Announcing legal proceedings often convinces your customer to pay. If your Northern Irish debtor refuses to pay during the extrajudicial phase, after discussion with you, we can go to Court in Northern Ireland. We will always provide you with information in advance regarding the likelihood of success in your debt recovery matter. We will also inform you in advance about the potential costs, and we only proceed with your permission.